Police were attacked in Londonderry as they attended the scene of a traffic collision in which a four-year-old girl was injured, a local councillor has said. Kevin Campbell, a Sinn Féin councillor, warned the PSNI must be allowed to go about their work in connection with road traffic accidents following the incident. He was speaking after the PSNI were attacked by stone throwers whilst they were carrying out investigations into an incident in the Magowan Park area of Creggan on Sunday afternoon. 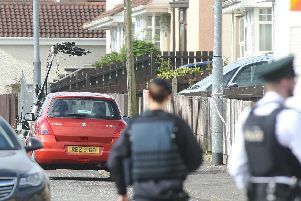 A child was injured and was taken to a hospital in Belfast.